At LAS Motorhomes a service is not a matter of changing the engine oil and filter, it is all about preventative maintenance. Our services are based on years of experience in running fleets of lorries and buses. 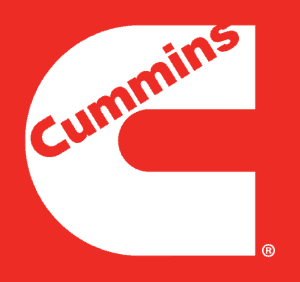 This knowledge I have accrued over the last 30 years in the motor trade, has now been applied to LAS Motorhomes. 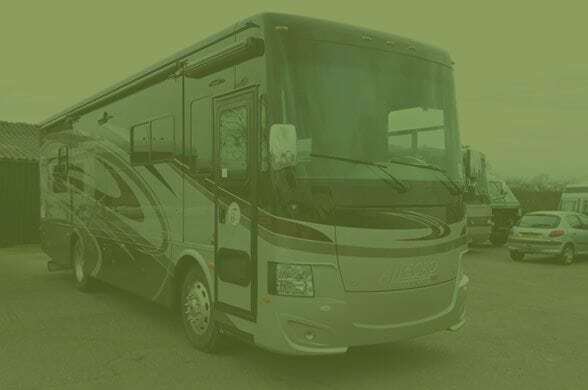 First of all your American RV Motorhome will be inspected for any defects, things such as excessively worn steering ball joints, tyres, brake pipes for corrosion, wiper blades, and lights for operation and so on. 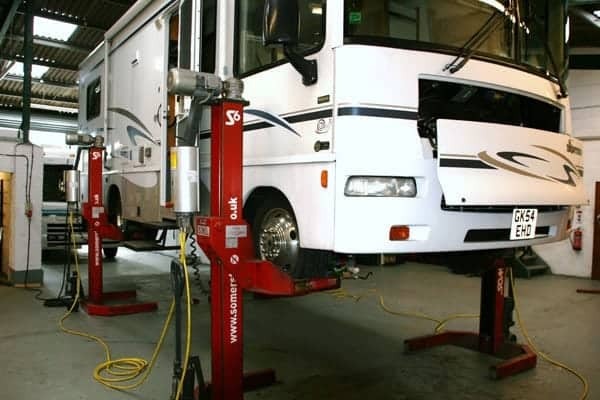 When LAS Motorhomes carry out a service on your Motorhome they are not only carrying out the simple tasks of changing the engine oil, they are using the vast years of experience to look for possible problems that can cause a breakdown, or an interruption to a planned relaxing break in your motorhome. 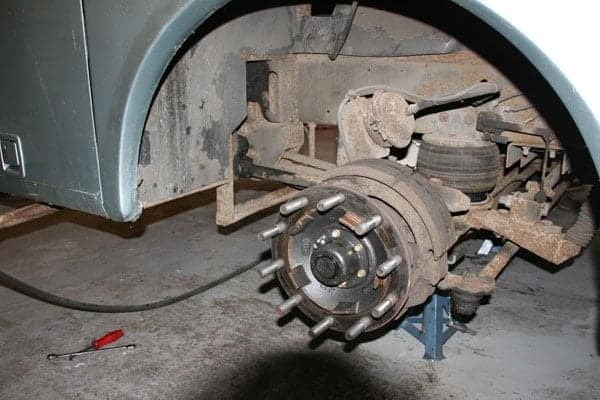 Las Motorhomes remove the road wheels on a service to gain access to the brake pads, which is very important. 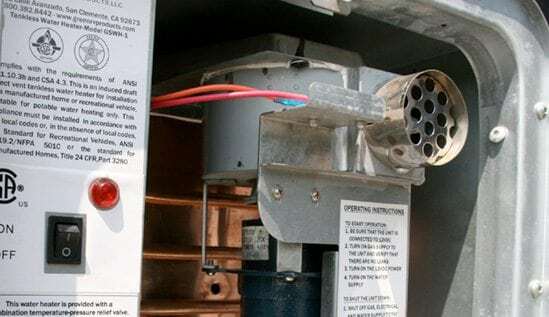 Your motorhome might not have covered many miles, but as experience has proven time and time again, that the brake pads absorb water and the adhesive that bonds the brake lining material to the metal backing fails, causing the brake material to fall out of the brake calliper and the vehicle brakes on metal to metal, which is a potentially dangerous situation. Whilst servicing your motorhome, LAS Motorhomes inspects to a far higher standard than is required for an MOT as just because your vehicle has passed an MOT, does not mean it is safe. The MOT test is the same as the test that the family car goes through, and let’s faces it most MOT testers have never seen n American Motorhome, so how do they know what to check? LAS Motorhomes not only check the levels and change the engine oil, they carry out tasks that you might not even have considered. 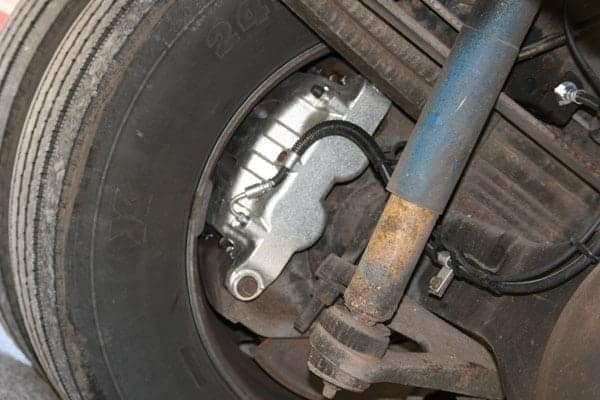 We also check the water content of the brake fluid where applicable, because brake fluid naturally absorbs water, which lowers the brake fluid’s boiling point, which in turn causes brake fade. Part of the motorhome service includes servicing the generator, cleaning the fridge burner and water boiler burners, lubricating the slide out mechanism, and one very important check LAS Motorhomes carry out is to check your roof seals as water leaks can become very expensive. LAS Motorhomes will contact you and are also willing to show and explain the problem, before you give them authorisation to carry out the work. 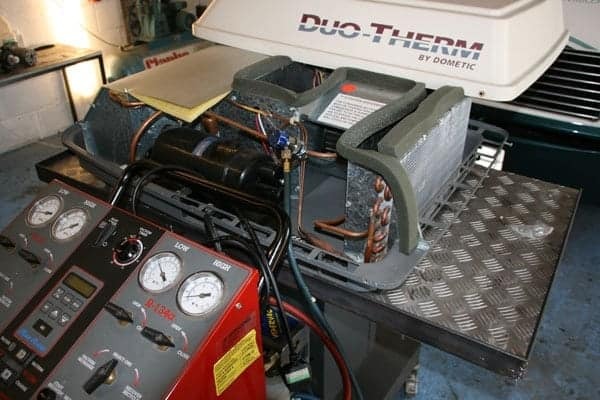 We also check the cab air-conditioning gas pressure and will inform you if the gas needs topping up, so if it is very hot one day and you turn on the cab air-conditioning and it blows warm, at least you will know the problem, if you don’t want us to top us the gas. 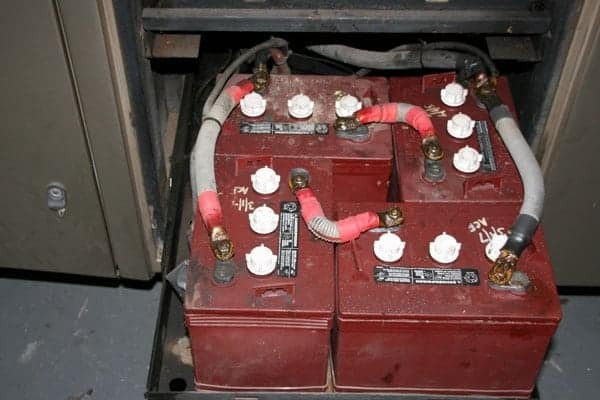 If your motorhome is a pusher (engine at the rear) it more than likely has drum air brakes. 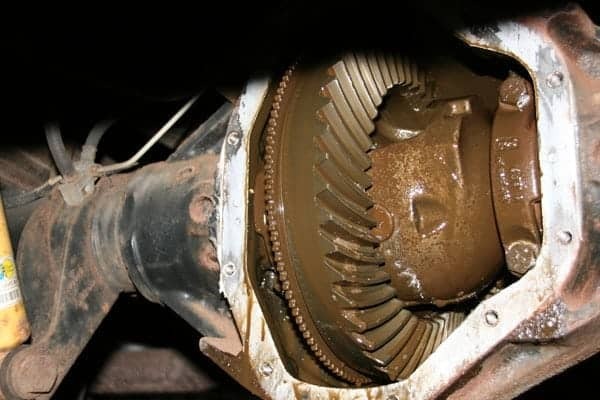 In this case LAS Motorhomes remove the brake drums and clean the brake rollers “z” or “s” cams which are important as the brakes do not have back plates allowing water to gain easy access to the brakes, this has a tendency to mix with the brake dust from the brake shoes and becomes a paste like substance. This paste like substance tends to fill the rivet holes on the top brake shoe reducing the brake efficiency. With the removal of the brake drum, the brake shoes can be thoroughly cleaned and inspected. LAS services come as one complete package, we do not offer gold, platinum or bronze etc. We have the experience to know that the vehicle requires a thorough check once a year, the American RV motorhome is a complex machine that requires looking after. The LAS motorhome service also includes things like checking the fresh water tap filters, cleaning them if necessary and also visually checking the fresh water pump for any leaks.